Sometimes a thin line separates between fact and fiction and Satoshi Kon’s manga Opus aims to do that. It is an ambitious manga by Satoshi Kon as he leads readers down the rabbit’s hole and discovers the blurred line of reality. Satoshi is known more to his fans as an anime director, having done some of the masterpieces like Paprika, Paranoid Agent and Millennium Actress. Opus was created by Satoshi Kon before his foray into animation but you can tell some of the key themes Opus has on his animation works — the blending of imagination and reality is one of them. 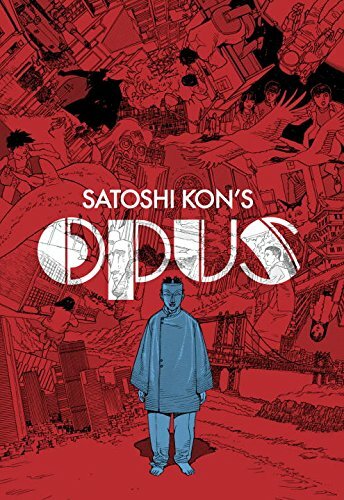 Opus is published by Dark Horse and originally created by Satoshi Kon in 1995-1996. The story revolved around a manga artist working on his latest work, but discovered to his amazement that the manga characters were not just a figment of his imagination when he fell into the panels of his own manga. And what happened when those characters take on a life of their own and decided to rebel against the creator? There are also a few subplots within the manga itself which I will let the readers find out on their own. Satoshi Kon’s art is reminiscent of Otomo Katsuhiro’s and that’s because he was the chief assistant to Akira manga. The storytelling is great and plot is compelling as Satoshi Kon creates a world within a world with Opus. This manga is highly recommended for all manga readers and if you like his works, you can check out his art book 今 敏 画集 KON'S WORKS 1982-2010. And if you are interested to compare Satoshi kon’s works with his teacher Otomo Katsuhiro, you can see some of Otomo’s books here and here.